Take advantage of the beautiful outdoors — even in the winter. 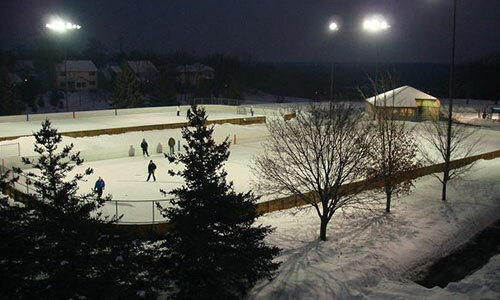 Eagan features outdoor hockey and skating rinks, tubing, and is home to a regional park where you can do it all! Lebanon Hills Regional Park is the largest park in the Dakota County park system. Containing almost 2,000 acres, the park offers miles of trails and many lakes for year-round outdoor sports, recreation and environmental education. 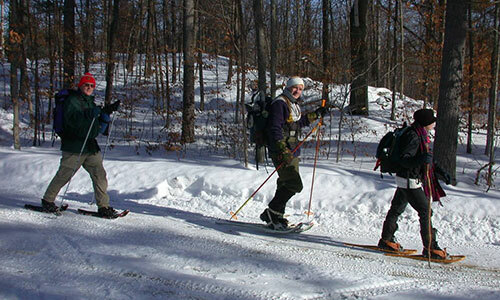 In the winter, you can go cross-country skiing, ice skating, kicksledding, mountain biking, ski skating, sledding, and snowshoeing! Enjoy the many beautiful sites and sounds of a Minnesota winter by skating outside at one of the many outdoor ice rinks. There are many hockey rinks and many skating (pleasure) rinks, with some being staffed and some not — click the link below to learn more about the outdoor ice! This snow tubing hill is located on Wilderness Run Road between Dodd Road and Lexington Avenue. 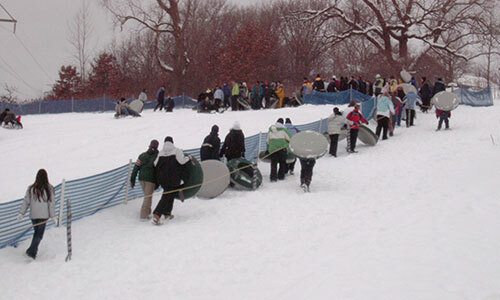 Approximately 75 tubes designed for winter tubing are available. To ensure the safety of all guests, you may not bring any of your own inner tubes, sleds, toboggans or other sledding devices during regular hours in the designated tubing area. Participants must be able to walk up the hill as tow ropes are not available at this facility.